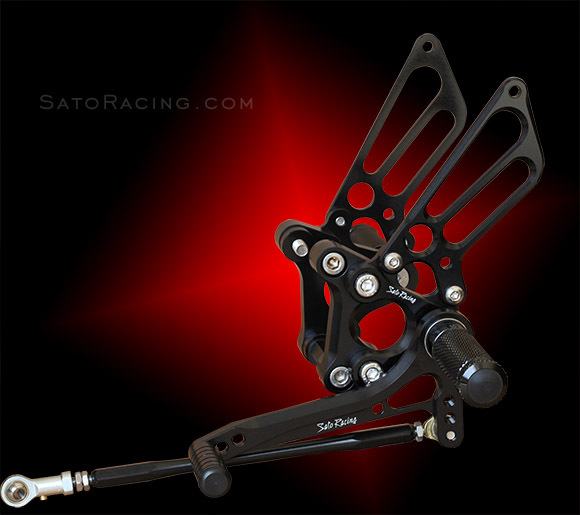 SATO RACING Rear Sets for 2003-06 Ducati 749 and 999 are CNC-machined out of high strength billet aluminum and anodized in your choice of Black, Silver (clear metal), or vivid Gold finish. 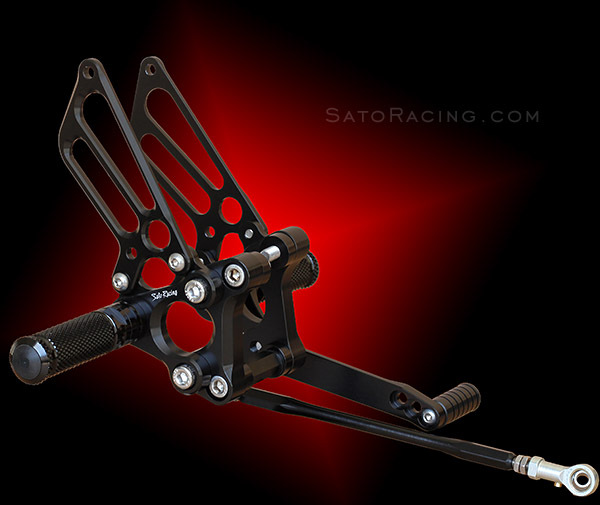 The shift pedal utilizes double stainless bearings for smooth, precise pedal movement. 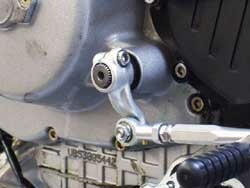 Deeply knurled footpegs provide excellent grip, along with a comfortable, intuitive feel. These Rear Sets provide 2 positions of adjustment in a range that brings your feet 15 or 20mm higher up and 12.5mm forward compared to stock. 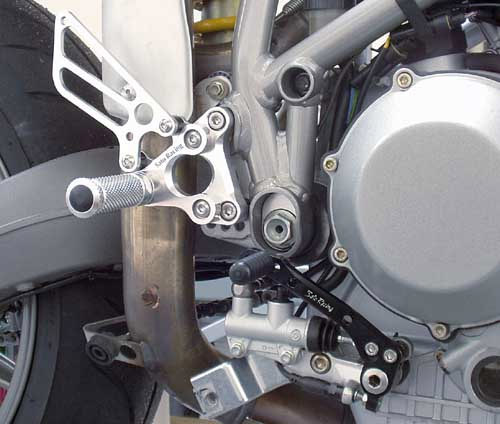 These Rear Sets are designed to work with the stock Ducati brake pedal, but we do offer an optional adjustable Brake Pedal Kit that goes well with these Rear Sets. 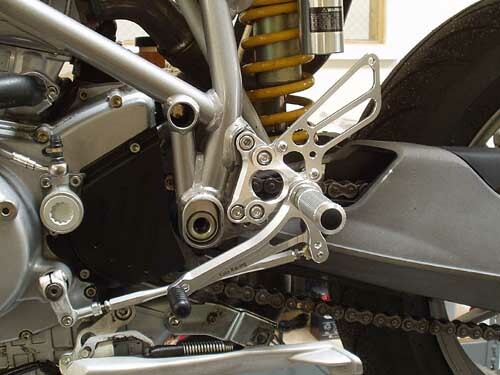 Note: Right side heel guard cannot be used on SBK replica model. 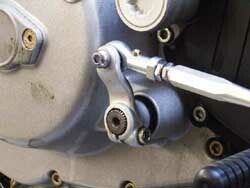 by flipping the stock shift arm the opposite direction. 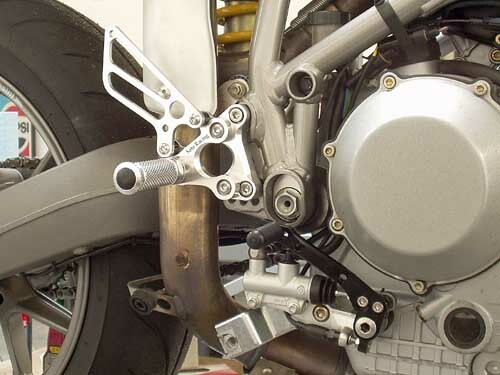 This Brake Pedal Kit replaces the stock brake pedal on Ducati 749 / 999. 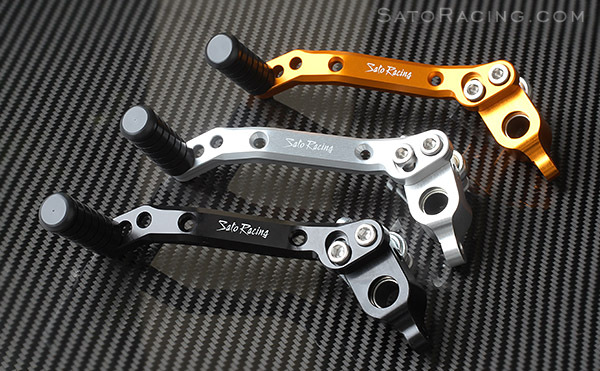 Anodized billet aluminum with stainless steel bolts and a Delrin pedal tip.